Galleani's critique of the Christian anarchism of Leo Tolstoy. In our last edition we carried the news that Leo Nikolayevitch Tolstoy had died on the morning of 30 November this year in Astapova. We mentioned at the time something which, albeit a matter of interpretation, is nonetheless true: the report of his death was like a shooting star. Ten days have elapsed since he died and nobody mentions him any more. Within a few years no one outside of the world of literature proper, where he earned his spurs as long ago as 1863 with War and Peace and Anna Karenina, will have anything more to say about his teachings, his philosophical and moral writings. And rightly so. Live in peace with all and if the peace is shattered, strive to re-establish it. Man shall take but one wife and on no account must one ever abandon the other. Suffer insult and do not repay evil with evil. In the name of these five commandments of the Lord, he ventured to rail at the churches which “have not only continually misunderstood Christ’s teaching and, as a result of circumstances, have always been bitterly hostile to it” but “as churches, as congregations preening themselves upon their own infallibility, they are blatantly anti-Christian institutions”; and in the name of the five commandments of the Lord, he hurled thunderbolts at the State, the law, the police, the courts and the army. Not in the name of humanity, not in the name of freedom, but in Christ’s name! Christ stated: “Judge not, lest ye be judged!” and in Christ’s name he repudiated courts and judges; Christ gave to command “Thou shalt not kill!” and in Christ’s name he rejected military service which is schooling in murder; he repudiated the state that rules over these gaols. 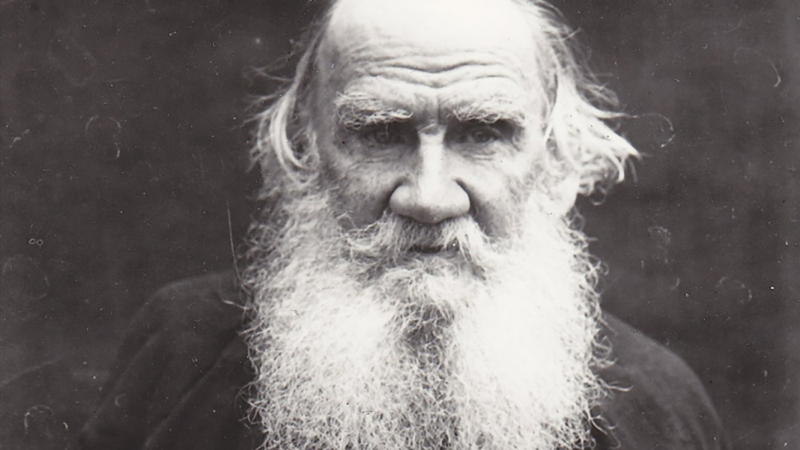 Thus Tolstoy was able to conclude that “respect for any law is a sign of the crassest ignorance”, not on the basis of excess but rather because it is lacking in severity and authority. Tolstoy was no anarchist, principally because anarchism looks to a life freed of every yoke of authority, of divine authority and then of human authority, and he was a believer, “a slave of God” as he was wont to describe himself, because anarchism represents the future and progress and is the highest form of progress conceivable for a more civilised human society, whereas he would drag us back to primitive Christianity, which is a formula superseded by twenty centuries of experience; because anarchism embraces all of the historical, scientific, economic and moral factors that represent the patrimony of existing humanity and uses them as the basis of its thoughts about the new society and is therefore rational and scientific in its very hypotheses, whereas Tolstoyan theory is theological metaphysics complicated by an absurdly anti-human morality; because whereas Tolstoy urges humility, anarchism says pride; where Christianity says resignation, anarchism says revolt; where the former urges repentance the latter screams freedom, well-being, and an intensely, inalienably full life! What previously befell Herbert Spencer has befallen Tolstoy. In his struggle of the individual against the state, Herbert Spencer never let slip the chance to make anarchists the targets of his sarcasm and invective, yet no one has ever furnished anarchists with more interesting and effective weapons of revolutionary destruction. In his crusade against any form of violence so as to expedite through resignation and passive resistance the advent of the “kingdom of heaven” here on earth, Tolstoy has injected swirls of obstreperous blood into the veins of proletarian revolt with his inexorable criticisms of the basic institutions of bourgeois society. Which is why among those bourgeois who trust more to the efficacy of the king’s grapeshot than to the Christian message of the apostles … twenty years too late, Leo Tolstoy has been forgotten: which may account for the abundance of pious obituary notices in subversive newspapers and even in those such as our own which never had any fondness for him but dared, irreverent iconoclasts as we are to question even the sincerity of his faith and apostolate. Because, in all honesty, we had and still have rather more than suspicions doubts as to the sincerity of his message, and were never enamoured of it.